Waterside has 3 permanent bedrooms, the Master has a King Size bed (6’ 4” wide), a second double with a Queen Size bed (5’) and a twin room with 2 single beds (3’). Every care has been taken in the furnishing of the bedrooms. From the high quality furniture and beds to the flat screen TVs and DVD players. Whilst the entire villa is air conditioned, each bedroom also has a ceiling mounted, speed adjustable fan, for added comfort. 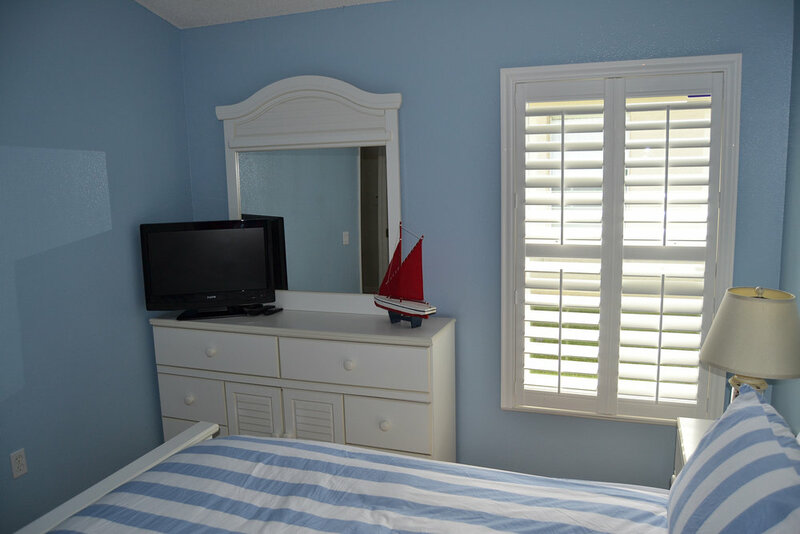 The Master Bedroom has views across the pool to the lake, through the newly fitted patio doors. A great view to wake up to and slip out for an early morning dip! 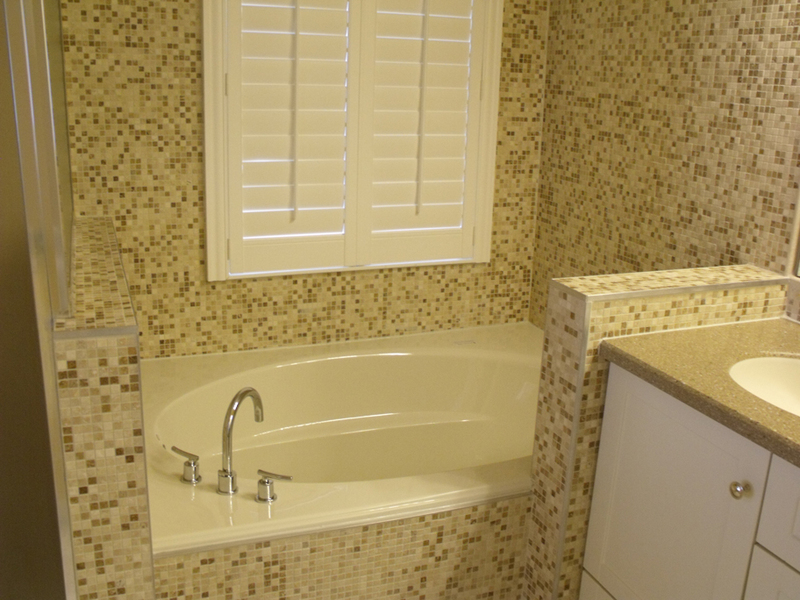 The en-suite bathroom has been completely refurbished with mosaic wall tiling and new vanity units with Corian tops. There is a large tub and separate shower cubicle. Just off the en-suite is a vast walk-in wardrobe – just right for all those trips to the shopping mall! 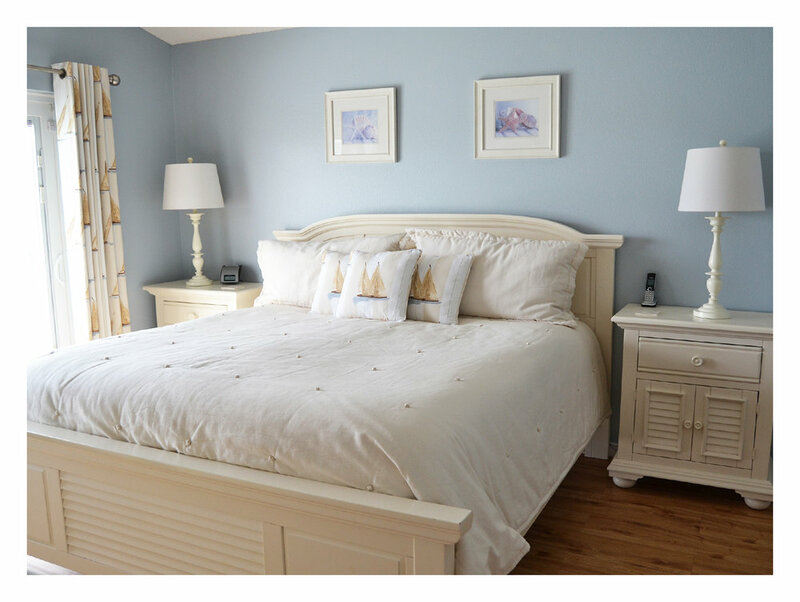 The second double bedroom is styled in a nautical theme in keeping with the holiday spirit. It has a queen size (5’) bed and plenty of storage with a large, built-in double wardrobe. The second bathroom is situated between the twin and second double bedroom. This bathroom has also been completely refurbished with mosaic wall tiling and a new vanity unity with Corian top installed. The old bath tub has been removed and a huge walk-in shower has taken its place, great after a long day at the Theme Park! 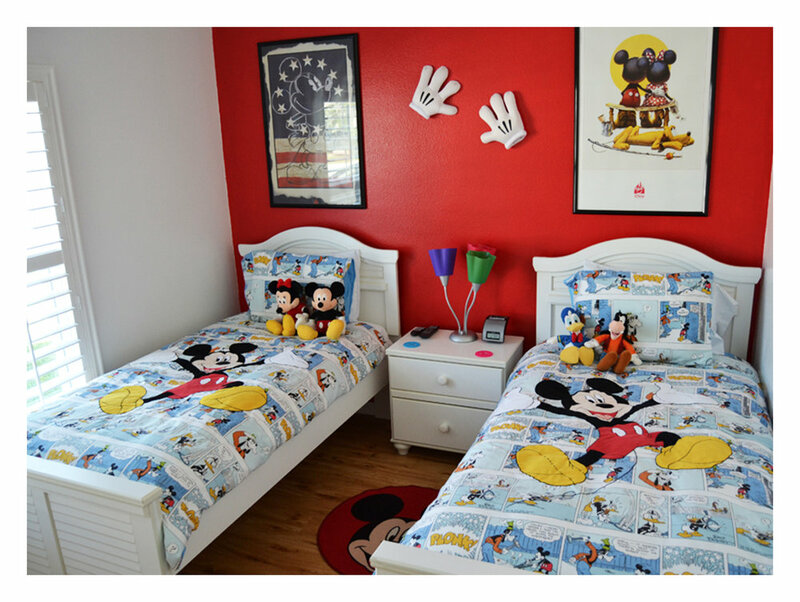 For the young dudes and dudettes, the twin room styled with a Disney theme is just perfect. Like all the bedrooms, there is a flat screen TV/DVD player (wall mounted) and a clock radio with iPod dock. There are Disney character soft toys and bedspreads to add to the fun. This bedroom also has plenty of storage with a large, built-in double wardrobe.